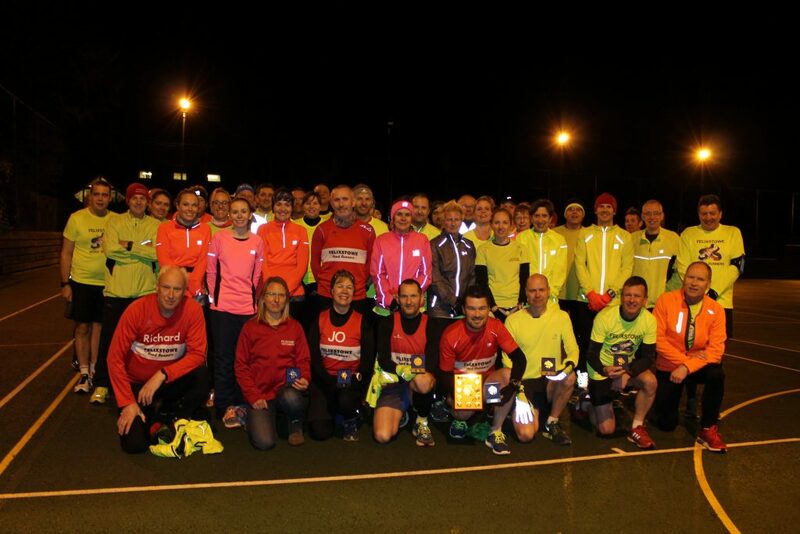 Local running club Felixstowe Road Runners has received a haul of silverware after topping the results table of the Suffolk County Athletics Association 2016 Grand Prix. The club, which boasts just over 250 senior members, was overall winner in the championship which sees teams from across the county competing in races to accrue points. Hundreds of runners scored points in the Stowmarket Half Marathon, Bungay Half Marathon, Newmarket 10k, Ipswich Twilight 5k and 10k and the Felixstowe Coast 10 mile. Felixstowe came top of the table in the team competition, beating nearest rivals Ipswich Jaffa by almost 300 points. The team’s female runners won the female team prize and the men came a close second in their category to Jaffa. The runners were presented with their trophies at the Tarpley 20 mile race last weekend. Club Chairman Mark Ford said: “As a club we are extremely proud of our achievements last year. The club is the healthiest it has ever been, with an ever growing membership and an extremely supportive group of runners. “Our members compete at races week in, week out, all over the county, the country and sometimes the world, and it is great to see everyone doing so well and enjoying running so much.